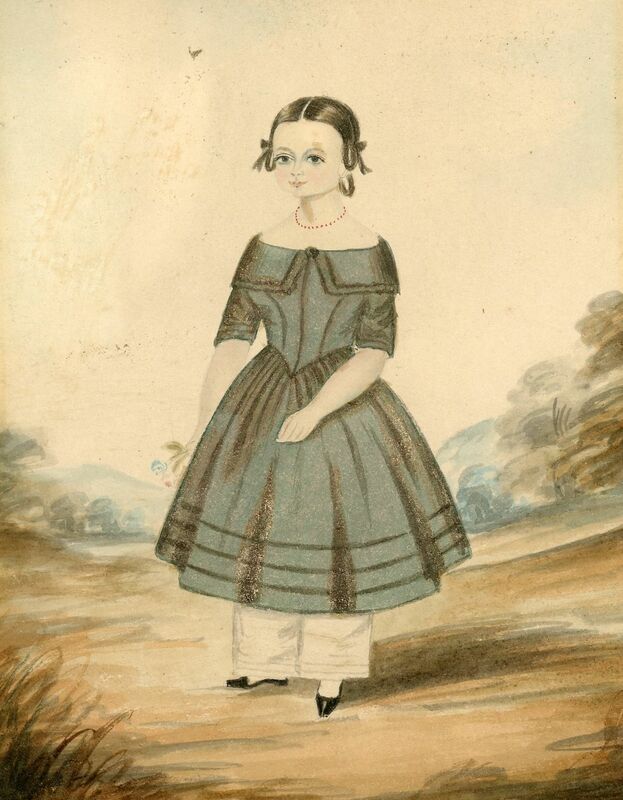 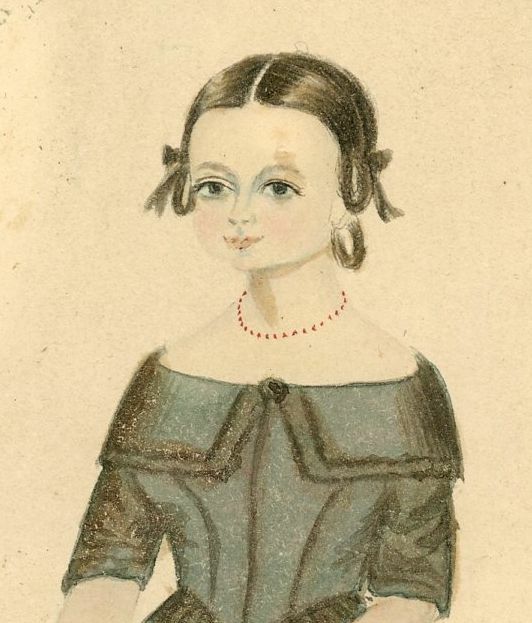 A charming watercolour portrait of a young girl with a heart-shaped face and an enchanting smile. 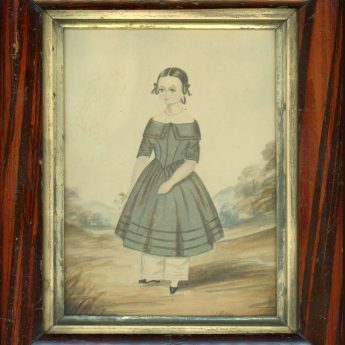 Standing in a garden landscape holding a posy of blue and pink flowers, she is wearing a charcoal-grey dress with a shawl neckline and a tiered skirt over white drawers and little black shoes. 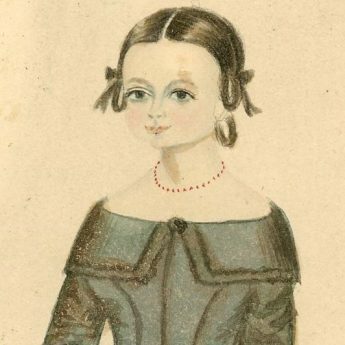 She has a coral beaded necklace to keep her safe from any evil spirits and her hair is arranged in plaited loops. 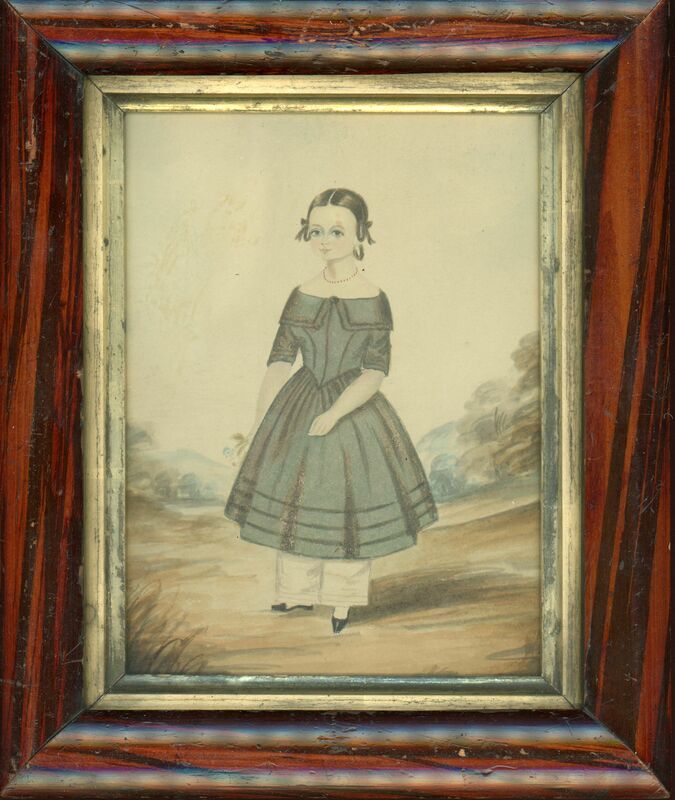 The portrait is set in a faux rosewood frame with a gilt slip.